Four men were arrested following an investigation of several thefts in Twiggs and Bibb counties. 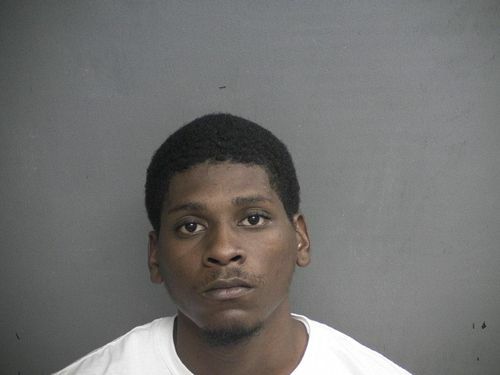 The thefts took place in December and included firearms, power tools and ATVs. Twiggs County Sheriff Darren Mitchum said they have recovered the stolen merchandise and made arrests. "Four people arrested and we've recovered approximately about $20,000 worth of merchandise," said Mitchum. A Twiggs County traffic stop for illegal window tinting resulted in the arrest of a kidnapping suspect, and the return of the 13-year-old victim. According to Twiggs County Chief Deputy Billy Boney, on Sunday, the Paulding County Sheriff's Office announced the abduction and possible kidnapping of a 13-year-old girl from a sleepover party at a home in the county. Witnesses at the party say the girl befriended 18-year-old Keith Alan Dubel of Fort Pierce, Florida, at the party. When the witnesses woke up the next day, the girl and Dubel were gone. Later that day, Cpl. Jeremy Johnson of the Twiggs County Sheriff's Office was patrolling Interstate 16, when he saw a black Dodge Charger drive by with what appeared to be illegally-dark window tint. When Johnson stopped the vehicle, he talked to the driver, Dubel, and his passenger, who later turned out to be the missing juvenile. 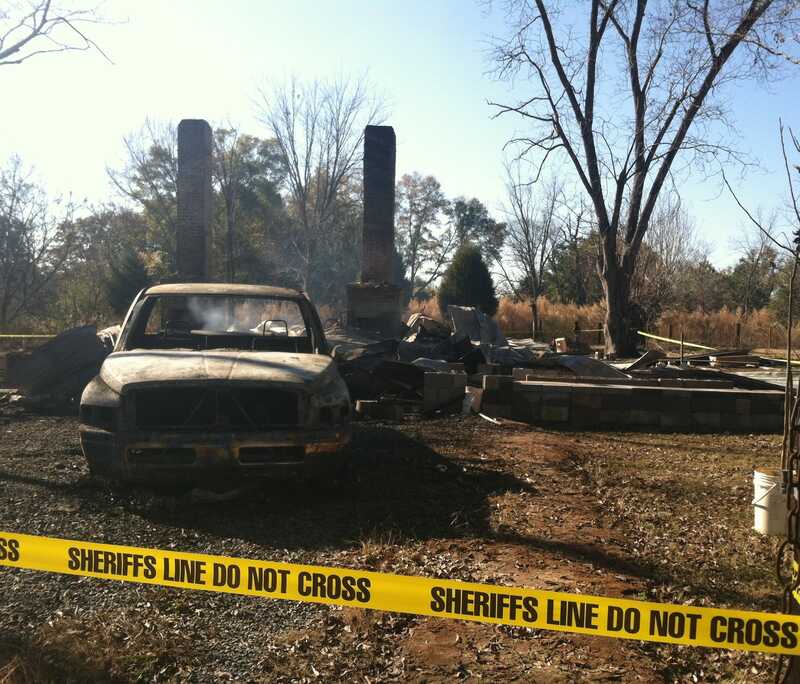 On the morning after Thanksgiving, one Twiggs County woman was just thankful to be alive after her home burned down. 13WMAZ's Paula Rotondo visited what's left of the house, and spoke to the owner. Broken coffee mugs, melted metal, and ash are what's left of Lucille Thomas' home at 200 Noah Thomas Road. She talked about how she reacted when she found out, "I was like no, cause my baby, which is my dog, was in the house, I don't know whether she got out." Thomas was working at Waffle House Thanksgiving night when she got a call. When Paul Glassman first bought him from a breeder eight years ago, Larry only weighed about 50 grams. The Sulcata tortoise grew to about 50 pounds taking up much more space in Glassman's house. Over time, he also took up more space in Glassman's heart. Larry also grew to be quite strong. Two weeks ago, he broke out of a concrete enclosure in Glassman's Twiggs County yard where he keeps three other tortoises. He's been gone ever since. Jesse Jones says around 9:30 a.m.Tuesday, he took two of his dogs out to his backyard. The Twiggs County deputy was delivering a civil suit to a person who didn't live at his home. "They saw the deputy coming around the corner and they went at him as to see who is," said Jones, "Not to attack him, just to see who he was and he pulled his gun and fired off one round." After that shot, Jesse Jones's oldest pitbull, Doughboy, was dead. "He said he felt like he was in danger and that was his split second reaction..to shoot the dog," said Jones. "He could have tased him, he could have pepper sprayed him, he could have given my fiance a chance to, you know, say something to him," said Jena Rhea Paul, Jones's fiance. She says Doughboy has never attacked anyone, and that the deputy made a horrible mistake.